Many people will go out of their way to avoid talking about illness, death, and money where their aging parents are concerned. The reality is we all get older and eventually need help from others. The more prepared you are today, the easier it will be for everyone down the road. If you haven’t had these discussions with your parents it may be time to start laying the groundwork. What Important Estate Planning Documents Are Needed? A Will – Decisions regarding your assets, how your estate will be managed, custody and care of minor children are some of the terms that need to be mapped out. Do-it-yourself kits are available, but if trusts, complex estates, or large amounts of money are involved, use a lawyer to draw up the Will. Medical Care Documents – You need to appoint someone who you want to make decisions if your unable to do so. Similarly a Living Will tells doctors your wishes regarding which medical or life support procedures, you do or don’t want. How Do I Start This Estate Planning? It’s a good idea to know where your parents keep important documents. You will need to know locations for financial information, medical and life insurance policies, contact information for doctors, lawyers, and financial advisors, funeral and burial plans, real estate estate deeds, birth certificates, marriage licenses, and social security or social insurance cards. Your goal should be helping your parents as much as they need and want to be helped. It can get very tricky if you overstep the boundaries – you don’t want to take away their sense of independence and hurt their dignity. As always, you’ll want to approach them with respect. And, be sensitive to their concerns and try to put yourself in their shoes – after all, you will be there someday. Equally important as having these conversations with your parents, is doing your own estate planning and documenting your own financial and medical care preferences. 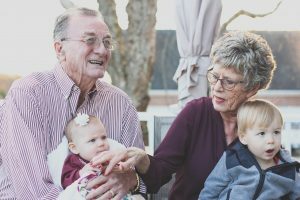 Make sure that when the time comes that you are prepared for a smooth transition of your legacy, which you have prepared through your estate planning .